UPDATED | Sky's gameshow channel Challenge has gone live with a new look, ditching the family characters that were introduced in 2013. The channel's new logo consists of four segments making up the shape of the letter C. A whole new set of idents and other branding elements have launched on-screen. And the station has a new voice: Glen Allen - who was the first live announcer on UK Gold in 1993 - has joined the rebranded channel. Sister channel Pick has also been given a refresh today, which has seen the logo lose its rounded look. The channel has seen numerous rebrands since its launch as "Sky Three" in 2005. Both rebrands were completed by design company MMMultiply on behalf of Sky. The changes bring to an end the branding applied to the channels in October 2013, when Pick TV became just Pick. The family of characters that appeared on Challenge were originally intended to "complement the fun vibrant collection of programming on the channel, from physical contest to game shows, with a character designed to introduce every classic and original programme", according to the channel in 2013. It's been a busy year for channel rebrands: of the most notable changes so far in 2016, Watch has been rebranded W, Channel 5, 5STAR and 5USA have been given a brand overhaul and Sky's premium entertainment channels including Sky 1 have also been given a revamp. 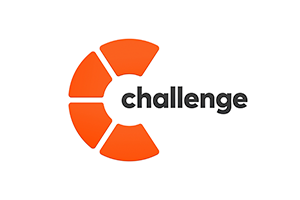 Challenge broadcasts on Freeview and YouView channel 46, Freesat 146, Sky 145 and Virgin Media (UK) channel 139. 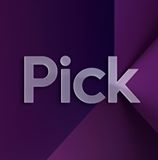 Pick is available on Freeview 11, Freesat 144, Sky 152 and Virgin (UK) 123. TV Live has screenshots of Challenge's new look, available here. Pick's are on this page.